Every so often in the viral video world, one video will emerge that has all the right elements perfectly aligned. Many would be apprehensive at seeing cute babies commingle with ferocious animals, but when their interaction is as beautiful as this one, all the signs are there for a true viral smasher. The video, which everyone who has an internet connection would have seen by now, shows an 11 month-old baby dressed in a lion costume interacting with the real thing at a zoo in Atlanta. 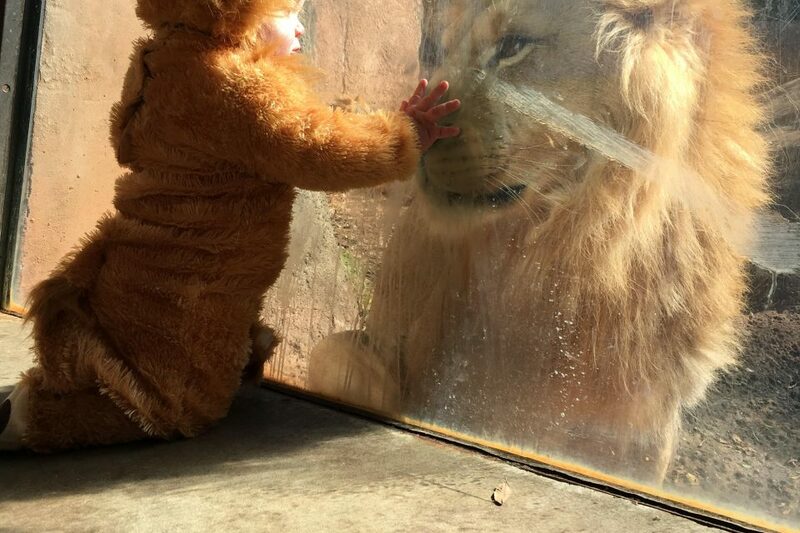 The male lion can be seen pawing at the glass in a playful manner, while baby Aryeh looks on with surprisingly calm curiosity. The clip was brought in by our US representative Mike Wallis, and as soon as it came onto our platform is was clear we had something pretty special on our hands. And our clients agreed. Selling to a huge range of networks and publications all across the world, and surpassing a million views on Youtube, the video has been everywhere. Amid all this success, filmer and godmother to baby Aryeh, Cami Fanning, shared with us her experience of having a video go viral. How did you come to work with Newsflare? I have a close family friend, Doug, who is Mike Wallis’s cousin. Doug liked my video on Facebook, Mike saw it, and he reached out to me! When was the moment you knew the video was really taking off? When The Daily Mail posted an edited version of my footage. That was crazy! That’s still my favorite edit I’ve seen so far. How does it feel to have a video go viral? It’s very surreal! Myself, the Ari (lion Baby!) and Aria (lion baby’s mom) were on Happening Now yesterday, a live show by Fox News Network, and I’ve already had people ask if I’m the lion baby’s godmother! Will you continue to upload more videos in the future? Absolutely! I had already uploaded so many photos and videos of Ari to Instagram and Facebook before this one went viral…I don’t plan on slowing down on showing him off! How has family and friends reacted? Everyone is kind of in shock! I can’t keep this huge smile off my face and my friends have been teasing me a bit but everyone is super supportive! We are all surrounded by the most amazing people who continue to lift us up day after day! There are some haters (I get it, I should have filmed vertically…I’m a teacher, not a videographer, calm down) but one of my friends brought up an amazing point: Think of how many people around the world whose day will be brightened because of our little lion cub! If we can put some smiles on people’s faces, then I consider it a job well done. How did Newsflare help you manage all the madness of licensing enquiries? Newsflare has handled everything flawlessly! Mike is very responsive with any questions or concerns I have and I know there are so many team members behind the scenes making sure that we are represented fairly! I will say that the success of this video has been such a blessing to all of us. It’s hard being a young adult in today’s world! We are so fortunate to have this opportunity come our way. If you have a video that you think has potential to go viral then do let us know and contact us at newsdesk@newsflare.com or upload for free at www.newsflare.com! From Guinness World Record attempts to adorable footage of his pets, Theodoros Doulkeridis exhibits all the symptoms of having caught the ‘Newsflare bug’. Having uploaded over 200 videos, as well as being one of our most prolific tippers, ‘Teodoulke’ – as he is known in Newsflare circles – is a regular on our platform. Hailing from northern Greece, Teo is among many Newsflare members who have achieved considerable success by using our website. Keen to tell his story about his experience with Newsflare, Teo took the time to answer some questions put to him. My name is Theodoros Doulkeridis and I was born in northern Greece, in the region of Macedonia, and I live in a small village called Skydra. I finished high school and then went to a private school as an electrician, but my passion was always for the internet, YouTube and social media. I am a busy man and I try to learn new things everyday. I sometimes face adversity (sometimes while tipping for Newsflare, because I can’t find good clips) but I never quit. I have a strong character and am often strict with myself. If I want to take an opportunity I will do everything I can to take it! Being a very communicative person, I always listen to the advice someone tells me. 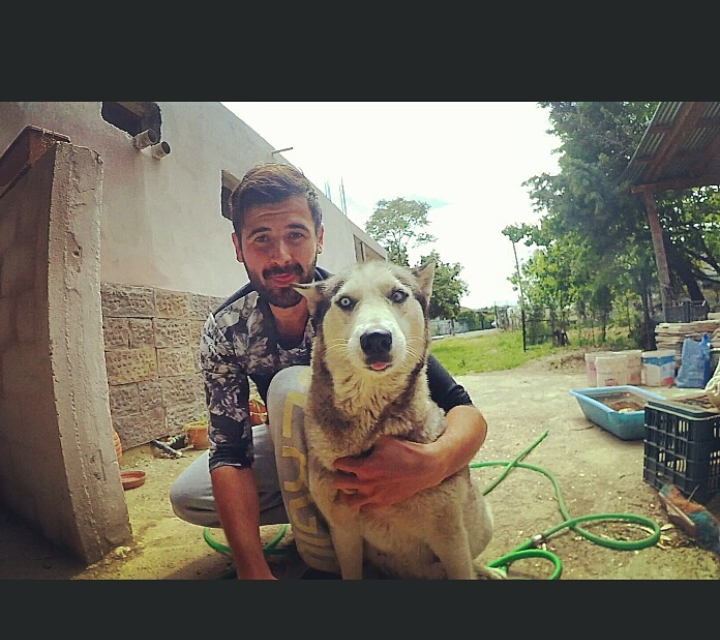 I have pets and I care for them like my family. They really are part of the family and I won’t let anyone to do anything bad to them. I have a good sense of humour and you will never see me in bad mood. I follow Charlie Chaplin’s quote” a day without laughter is a day wasted” and I never lose a day! 2) What does a typical day look like for you? I spend many hours on the internet after work. I go to the gym every day for two to two-and-a-half hours, play football with my friends along with other sports, as well as going out every day with my friends for coffee or beers. On the weekends I like to spend time on the beach, going clubbing and drinking. 3) What inspired you to start uploading videos on Newsflare? After I uploaded my first video onto YouTube ”Husky tries to swim in a tray of water”, many agencies contacted me to try and licence my video, including Newsflare. I didn’t know about these companies so I searched on Google and saw both positive and negative comments. I was in a dilemma whether I should licence it or not, so I started to research the agencies that contacted me individually and only Newsflare had good reviews. The journalist (Rich Oxley) that sent me the message was very honest with me not like the others. So I decided to grant permission to use the video and I’ve never looked back! I had previously worked with other companies but only Newsflare is trustworthy and honest and that is the reason I upload videos exclusively. The staff are good, communicative and you can trust them! They have never disappointed me! 4) What is your favourite video? My favourite video that l have uploaded to Newsflare is ”Husky puppies fighting is brilliantly cute” and you can understand why! 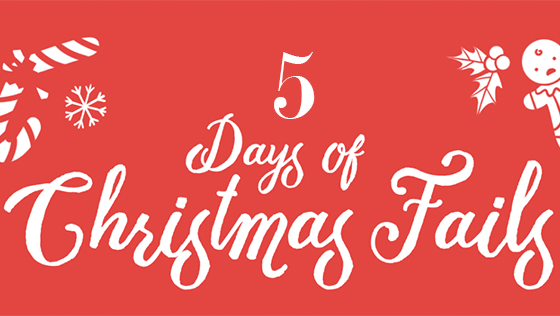 5) What is your favourite part about working with Newsflare? Never disappointed me. The feeling of working with Newsflare is amazing, and the Newsflare team is always there to answer your questions and help you. 6) What is next for you? 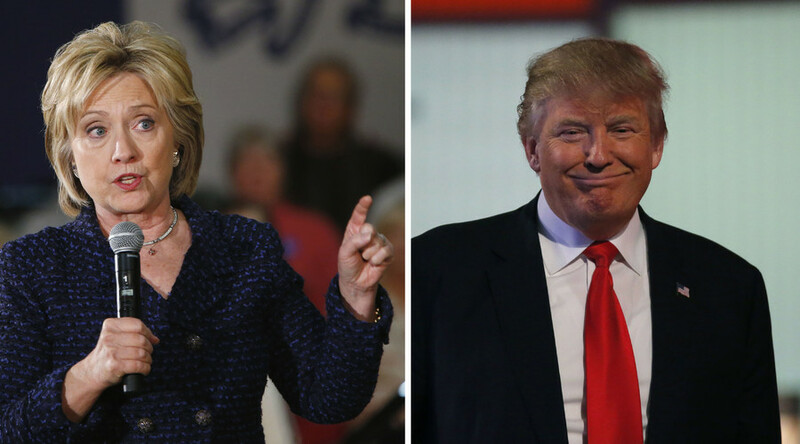 As the 2016 US presidential pantomime reaches its climax, both characters vying for the keys to the White House are pretty much neck and neck in the polls. While many fear seeing the thatched head of a victorious Trump looming all over our TV screens, the prospect of ‘crooked Hillary’ gloating over an election triumph will surely sicken many voters to their stomachs. With each twist and every new revelation creating enough hot air to hasten an environmental apocalypse, we thought we’d let off a little steam by infusing a bit of comical relief into the proceedings. Whether it’s animals expressing their aversion to presidential candidates or toddlers duking it out in masks, Newsflare’s archive is full of alternative election coverage. So switch off those TV sets and embrace the absurdity of it all with our latest viral roundup of US election videos. When Melania Trump made ‘her’ impassioned speech in support of The Donald at the Republican National Convention, there were many left experiencing a curious sense of deja vu. Like an unscrupulous college student, it seemed Mrs Trump had plagiarised from Michelle Obama’s speech to a gathering of Democrats in 2008. Sensing an opportunity for parody, Youtuber Juliana Rodrigues put on her best ‘fiesty Eastern European’ impression and imagined what Trump’s speech would have sounded like had she wrote it herself. The hilarious monologue includes lines like ‘my husband said to me, if you want to succeed in this country, you have to work work work work work, let me see you work work…’ (a reference to Rihanna and Drake’s hit single for anyone fortunate enough not to have heard it). Most people take at least until early adulthood to begin making informed political decisions. But this girl, attired as she is in a richly embroidered princess outfit, is not like most people. The political tirade that her mum encourages her to deliver would undoubtedly leave Clinton quaking in her media trained boots. Despite an initial memory lapse in recalling Hillary’s surname, the prodigious political pundit quickly comes into her own with a stinging attack on the Clinton email scandal, followed up by a haymaker of a statement about the Benghazi soldiers. She then finishes by asking her mum to send the video to Trump. Good marketing. It seems it is not just the general public who have taken a dislike to Trump; the animal kingdom has apparently had their say as well. While many would argue that there are voters on both sides foregoing a few essential human characteristics, our pets are not yet allowed – or physically able – to cast a vote. But they can still make their opinions heard. Whether or not these children are making a pointed statement about the theatrical nature of modern politics, or their parents simply wanted to dress them up for a laugh, this footage of two kids donning masks in imitation of each candidate is arguably one of the best things to come out of the election so far. Each plays their part perfectly. While Toddler Clinton screams in shrill moral outrage, Toddler Trump stamps his feet moodily and looks on the verge of saying something absolutely scandalous. As a heartwarming final gesture, the two then discard their masks and revert to being sweet, blissfully ignorant children once more. A duck on a quest to Make the Lake Great Again, this bird can be seen sporting a Trump-like barnet and swimming around energetically in an apparent bid to enlist voters. Unfortunately for Donald Duck (you got a better name? ), after being spurned by a few uninterested lake dwellers, it can be seen towards the end of the video paddling around in an empty expanse of water, friendless and adrift. Whether this is an early premonition for how the US election will pan out, we will have to wait and see. If you are planning something around the election, or are able to capture the excitement, celebration, or commiseration of the election process, Newsflare would love to help sell your videos. Remember, traditional media outlets will be covering the formalities very thoroughly, so anything unusual or alternative would work best for our clients, so keep your smartphones at the ready! Earlier this week one story in particular piqued my interest. It involved a bull escaping from a trailer and bringing a UK motorway to a standstill. As you will see from this roundup, stories like this are always very exciting in the viral video universe. To me, nothing gets the pulses racing more than seeing wildlife upsetting the normal course of human activity. Watching an emu weaving in and out of traffic while charging down a highway excites the inner Looney Tunes fan in me, and makes the world seem quite fantastical, if only for an hour or so. As long as the animal isn’t in any distress and gets safely brought back to where it escaped from, the ‘animal on the loose’ genre is one of our favourites here on the newsdesk at Newsflare. Not many people would have heard of a capybara before. Which is why seeing the world’s largest rodent appearing on a golf course in Essex is such a anomaly. Workers at the North Weald Golf Club were stunned to see the rare creature skulking among some bushes, and promptly reported it to the local authorities. Thankfully, a local farmer came forward claiming he was ‘missing a capybara’, and the animal was returned. This video is impressive in the sheer quantity of errant animals on display. For reasons as yet unknown, a whole squad of ducks one day found their way into a drugstore in the US. In the video, the feeling of ‘what the hell do we do now?’ expressed by the workers is hilariously evident, as one can be seen making a half-hearted attempt to sweep them out with a broom. It is absolute chaos, and the ducks don’t seem to have a clue what’s going on either. It is as if the world has just gone ducking mad. 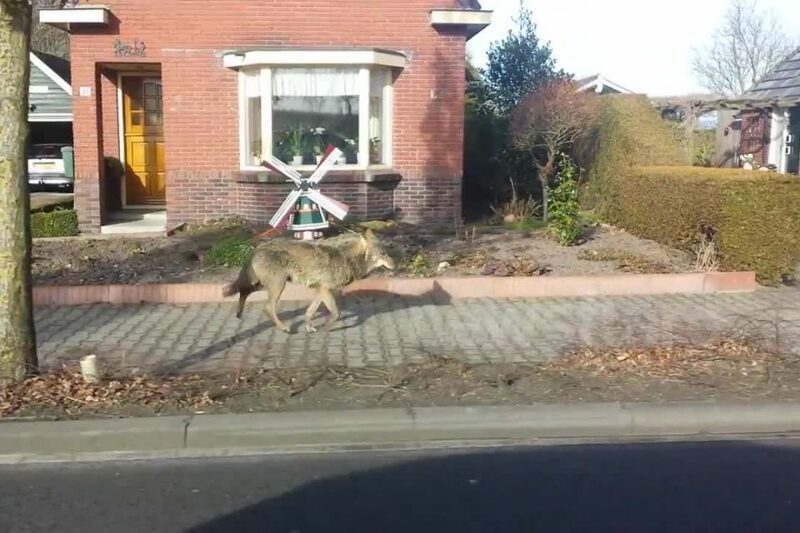 Last year, the idyllic repose of a small town in the Netherlands was dramatically shattered with the appearance of a large grey wolf on the prowl. Presumably looking for its next meal, the animal was filmed running along a pavement in Kolham with a frightening look of intent in its eyes. According to local reports, the fugitive was seen crossing the border from Germany, and – leaving the Dutch population unharmed – was safely returned back to where it came from. But Kolham villagers can be forgiven for thinking they had just been in some kind of horror film. So if you ever see an animal not where it should be, you may have the chance of entering our ‘escaped animal’ hall of fame. Just remember to stay safe! The UK has been in the grip of yet another heatwave this week, but it’s not just humans who’ve been forced to seek some shade. Have you captured any video footage of animals that makes you laugh out loud, giggle or go awwwwww? Then if so we want to see it! Upload to Newsflare and you could make money! Squirrels are becoming celebrities in their own right within the viral video world, with many having their own dedicated Instagram and YouTube channels. We’ve seen a big rise in squirrel videos from Newsflare contributors over the last year, with the likes of Associated Newspapers, Right This Minute, New York Post, AOL, MSN and The Telegraph all licensing the videos. Today, we’ve picked our best-selling squirrel videos to give you a little inspiration. The next time you see a pesky squirrel, just remember that it could potentially earn you money! You can check out the full archive of squirrel videos on Newsflare here. Up first, in one of my personal favourites from Newsflare member VivaFrei who is a creative genius when it comes to crafting the perfect viral video! Vivafrei uses a real live squirrel to pull out his daughter’s tooth using dental floss and granola. Does it work?! View the video to find out…. 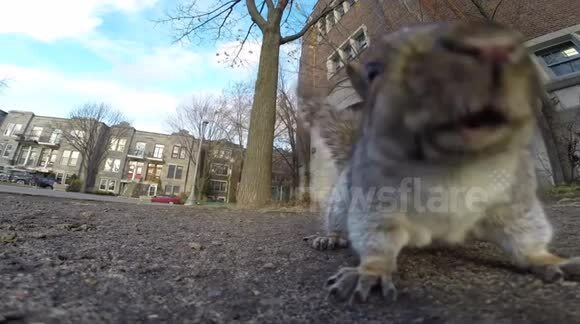 Back in 2014, one of vivafrei’s oldest videos shows a squirrel getting up close and personal and hovering apprehensively over a GoPro device before snatching it and scampering up a tree. Thankfully the GoPro was recovered after the squirrel dropped it to the ground! This squirrel below shows a squirrel trying desperately to get into the house through the glass door while the curious cat watches on from inside. This squirrel must like living on the edge! Amusing footage of an overweight ground squirrel struggling to get into its burrow in Russia has emerged from our Newsflare member, Maldoror. The video shows the chubby speckled ground squirrel, trying to get into its shelter, but struggling in the most adorable manner! The footage below beautifully shows this athletic squirrel jump an impressive distance in slow motion! So whenever you’re about do keep your eyes peeled for squirrels! From their ninja style ways to their clowning around – it all makes great footage for our clients and could potentially earn you money! After Wales produced a sensational performance to beat Belgium, they now face Portugal for a place in the Euro 2016 final! In support and celebration of Wales we decided to share our favourite and best selling whales videos. Up first is Newsflare member – jacobmakessciencefun. 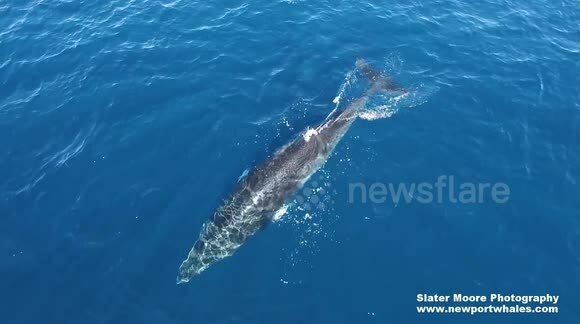 He captured some beautiful whales, heading North, just off Sydney. On a small boat with his son , they trialled a device to speak to the whales…it seemed to bring them to the boat like rats to the pied piper! Next up, aA cool video emerged of a woman playing music to a false killer whale at the Vancouver Aquarium in Canada. The footage, shows Chester, the whale, swirling in the water as a woman named Jessie plays him music from a music box pushed against the glass of his pool. An amazing video emerged of an orca whale swimming underneath a paddleboarder off the coast of New Zealand. If you have any videos of recent Whales encounters or Wales supporters this evening then do submit your videos to Newsflare!